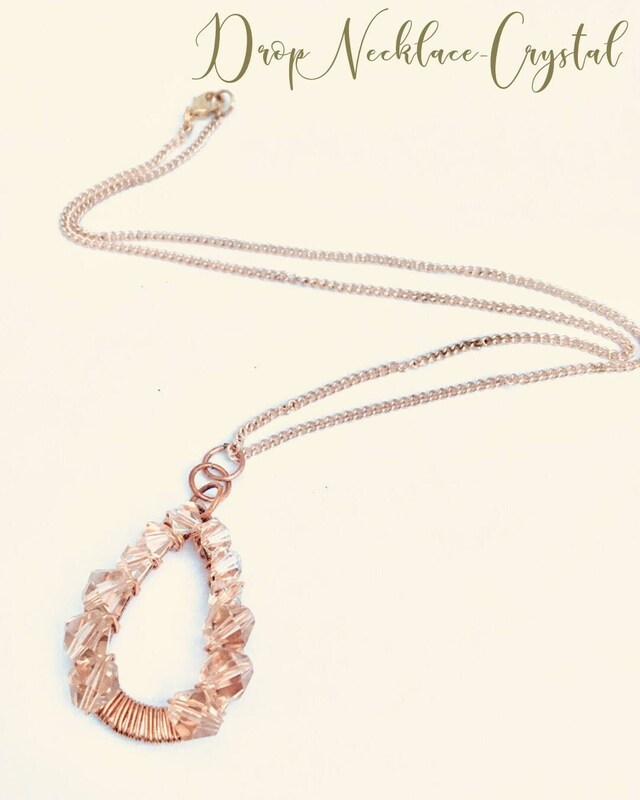 Sparkle and bling meet distressed copper in this gorgeous pendant. 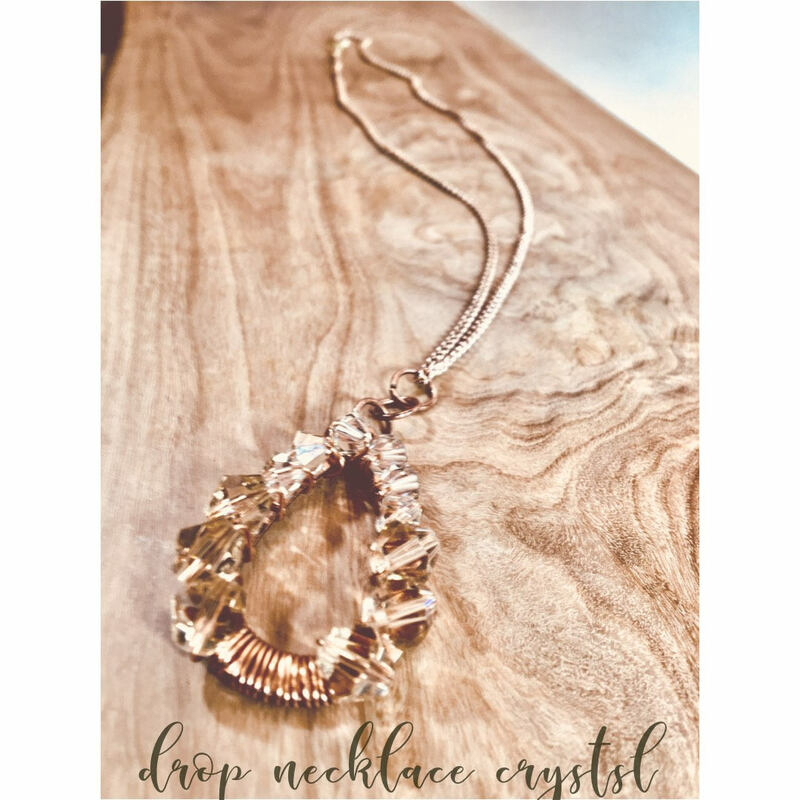 This unique crystal and bead hand wrapped pendant is attached to roped rose gold chain. 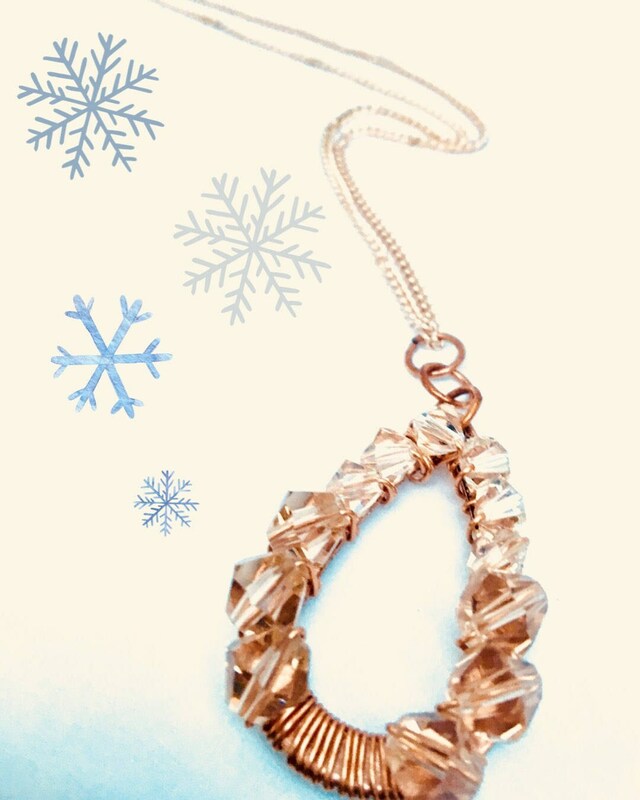 Multi neutral toned crystals catch the light of the summer sun or holiday lights in all the right ways.This is the perfect companion to dress up jeans, show off bronzed skin or be the highlight of the room at a holiday party.